It’s symptomatic that the only really memorable scene during “Paulo Coelho’s Best Story,” a film with a running time of 112 minutes, lasts about 60 seconds and focuses not on the title character, but on his father. Set in a car while Pedro Coelho (Diaz) listens to a song co-written by his son Paulo (Andrade) and, realizing he’s the inspiration of its cruel lyrics, fights back the tears, this scene represents a rare moment of sensibility, authenticity and beauty in a movie terribly lacking in inspiration. Employing a non-chronological timeline that clearly seeks to disguise the lack of structure and the fact that the narrative is constructed through scenes that invariably invest in some drama or artificial conflict, this is the kind of movie that feels the need to always include a caption indicating the period in which a scene takes place every time it jumps—even if the costumes, the art direction and, well, the fact we have been watching the damn thing for an hour already made it pretty clear the decades we are visiting. However, hammering the audience with unnecessary exposition seems to be a hobby of this movie and, thus, it is no surprise when a character says "Paulo is my grandson" when addressing ... the boy's parents, who, I suppose, probably are aware of said kinship. Similarly, just in case we hadn’t noticed young Coelho’s ugliness complex, we would certainly become aware of it when we see him inviting a girl to dance just to hear the girl's mother say "But precisely the weirdest and ugliest boy in the whole party? ", in a very natural reaction if you are a caricature in a film that treats the one-dimensionality of its characters as a rule. Interestingly, at other times that deserved at least some explanation, "Paulo Coelho’s Best Story" simply expects us to accept certain incidents without questioning their logic—as in the scene where the protagonist participates in a children's play when an actor conveniently fails to show up: after throwing himself on the floor, reciting a poem and throwing a candy to the audience, the hero is cheered by the children, who inexplicably start chanting his name. And, of course, when his musical partnership with Raul Seixas (Ferreira, perfect) is portrayed, both men are seen creating some of their most iconic songs through dialogue that simply quotes the lyrics without any insight into the duo’s creative process. 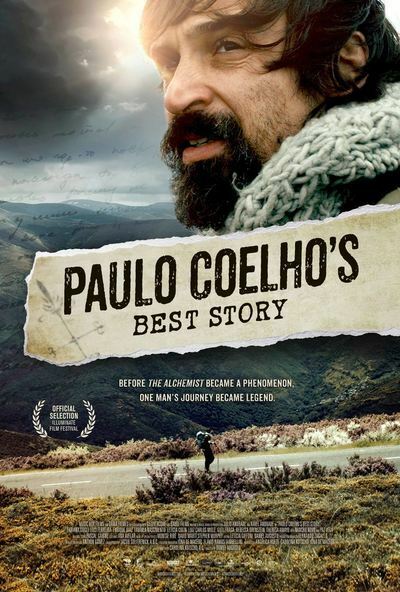 Moreover, the cinematic treatment of this partnership is absolutely disgusting: in addition to suggesting Seixas stole the credit of "Gita" (probably their best song), sending Paulo Coelho into a depressive crisis, the movie virtually ignores the protagonist's relationship with drugs (and the fact he introduced them to his partner), and even presents him as some kind of rock star, concocting an absurd scene in which he can be seen singing with talent and energy alongside Raul while their were still at the height of success. Thus, it soon becomes clear that the purpose of "Paulo Coelho’s Best Story" is to throw all kinds of humiliation on its hero, so his eventual victory can emerge as a lesson in persistence; and therefore is not enough that, as a teen, a doctor tells him no one will ever want to read his writings: later on, an editor and friend will practically repeat the statement in order to highlight the irony. Competent at least in its production design, which does a great job of recreating each time period, "Paulo Coelho’s Best Story" also impresses with the makeup job that turns Julio Andrade into a clone of the old Paulo Coelho—at least when we see him in the distance, as the close-ups end up exposing the artificiality of the prosthetics (and of course director Daniel Augusto frequently shoots the actor in close-ups). Suddenly stopping the narrative after almost two hours as if it had got tired of telling that story (and filling the blanks with an end text), the movie shows for its protagonist the same lack of respect exhibited by the caricatures that tell him he’ll never be a writer—and simply by opening the story presenting him as a singer that he never was, the movie practically denies Paulo Coelho the respect of being recognized for his books, as if they were not enough to justify honoring him. Even if I don’t enjoy his work, I am fully aware that his success should have yielded at least an acceptable biopic. This is not one.